So I thought I hadn’t really posted any information about my research into the 1960’s on a broader scale, as I had only posted what was related to Hull but I feel it is important to understand the 60’s on a boarder level so that we can apply some of this knowledge if possible and I hope that it can help someone else who may be researching into the 1960’s. To sum it up, the British population was at about 53 million at the time. 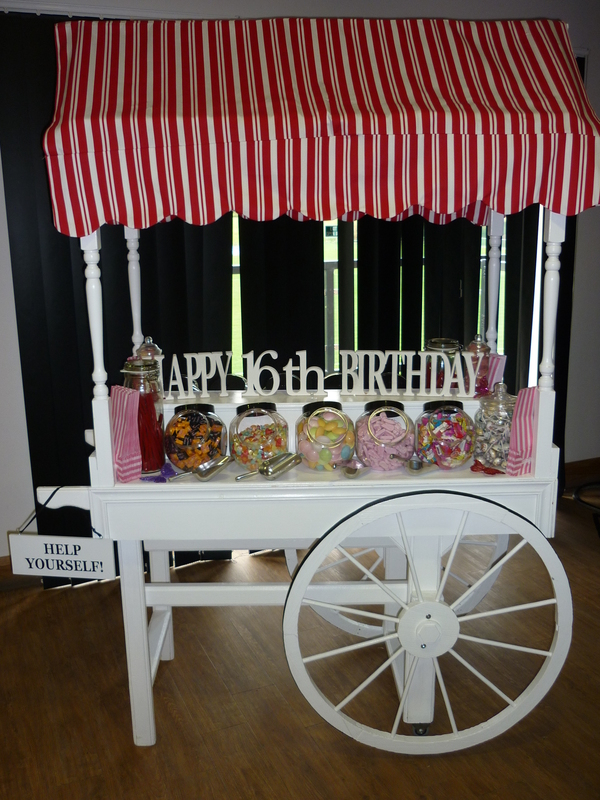 This decade was known as the swinging sixties and was seen as the decade that birthed British pop music and fashion. One example was The Beatles who had been influenced by American pop bands like Holly and the Crickets alongside other British groups like The Shadows. This decade also saw Psychedelic music which was influenced by drug culture at the time, some examples of this were The Move and Pink Floyd. Fashion also had its place in the 1960’s Britain with many woman sporting diverse fashion trends which showed how society was changing. Some examples of these were Culottes, PVC Clothing and Go-Go Boots. It was also the decade of the invention of the famous mini skirt which is still in fashion today. In regards to colours and patterns, the 1960’s saw people wearing very colourful and bold shades, some even wearing psychedelic attire. In regards to males, The Beatles had a strong influence on youth fashion and many young men visually reflected their idols. The cost of house hold items, well, was very different to what we have today. The price of a loaf of bread was the equivalent of 5p and a pack of 20 cigarettes would have cost you about 25p in today’s money. Britain itself wasn’t in any kind of recession but the economy was just about to enter a period of decline. The weekly wage was about £32 which if we compare today roughly minimum wage is about £450. A trip to the cinema for two would have only cost you about 90p but in today’s society you’d be lucky to get a trip to cinema for 2 for less than £10. 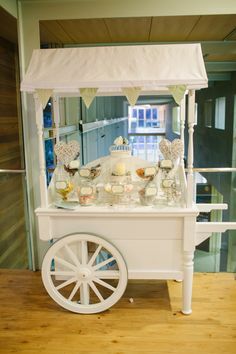 The best thing about this decade must have been the creation of supermarkets in which people could purchase everything in a single shop rather than 3-4. For the first time it would seem most households had electricity leading to lots of convince items for the home such as refrigerators and cookers. Some other examples of items found within the home were black and white televisions, rotary telephones and record player stereos. In 1962 we saw the creation of the audio cassette by Philips then later on in 1965 Sony marketed the very first home video tape recorder called CV-2000. The television was a very important part of the 1960’s as this item allowed many family’s come together to watch Coronation Street, Dr Who and BBC 2. 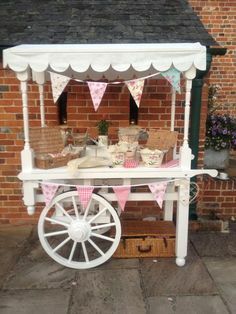 Looking at these I wanted my stall to have a wheel, wanted the stall to be thick but not too chunky and also to have several variations of jars. I also decided that for this I wanted to do something a bit more high poly then my other projects to have some variation and to add a bit more quality to my asset. 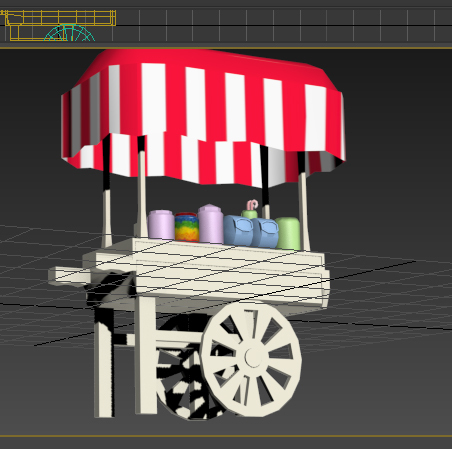 The first thing I did was start from a box and carefully swift loop around the object to work out where I was going to extrude and drag in order to create the ‘arms’ and ‘legs’ of my sweet vendor. 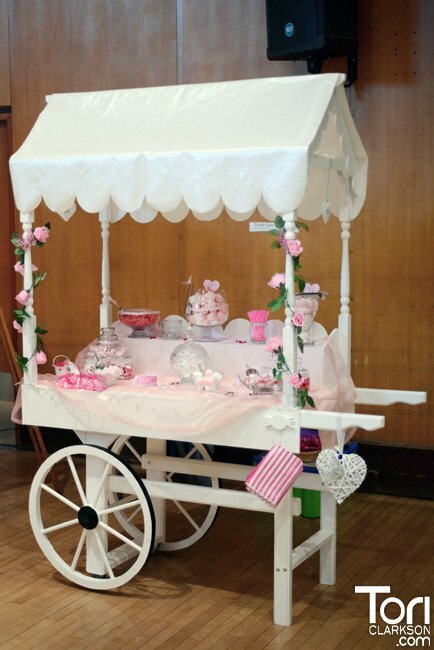 After this, I created a seperate box and managed to alter the verts to create stands for what the roof of my stall would stand up on. 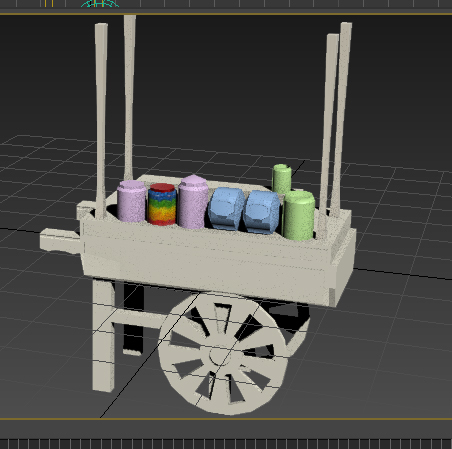 Then I created the wheel of my sweet stall by creating a cylinder with cap segments within it, I then deleted some polys to create gaps within the wheel and bridged up the edges so that these were capped. When it came to most the jars, I literally started from a cylinder and created cap segments again in which all I simply did is extrude sections of the model to create jars and lids. One of the jars varies this as I also used the inset tool to add some extra polys so I could extrude the object slightly inwards and once I tweaked the vertices a little I was able to create an open jar that the player would simply put their hand in and grab some of the candy. 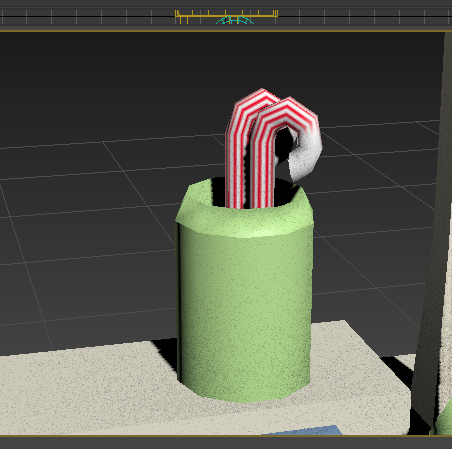 The next thing I decided to do was to create some candy canes so for this I created a large cylinder and created several height segments within it, I then stretched this out so It was rather long and added a bend modifier to create a candy cane shape, I made sure too add more height segments so the bend was smoother than my previous attempts at making candy canes in my first year. Finally, for the roof of my vendor I created a box and deleted all the polys under the box as these were not needed. I then used swift loop to create multiple sections within the box and then selected every other vert around the edge of the object, I then moved these slightly up the z axis to create my roof of the vendor. 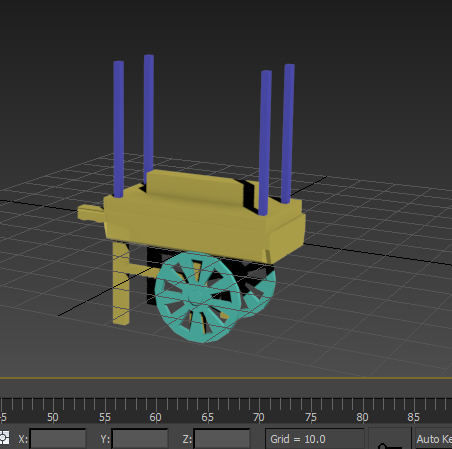 When I thought all my modelling was finished I decided to ask someone within my group if any alterations could be made to better the vendor, they said it needed to be stretched out a bit more so the vendor was wider, I did this simply by using the scale tool. 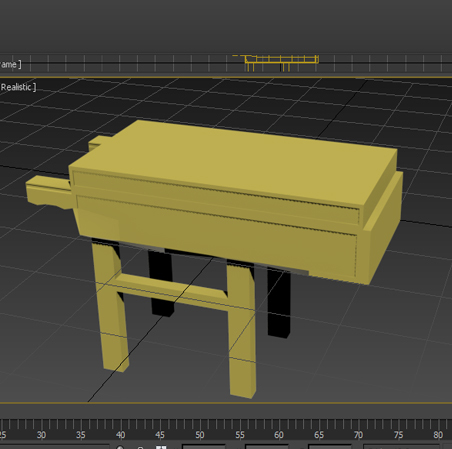 The only thing left to do on my vendor is to texture it properly and to make sure that the scale is realistic within engine, I will post an update on how this turns out and the finished result. This is a follow up blog post of my previous post ‘Game idea development – Diagnosis’ and consists of further research into a section of my target market. I noticed in my previous post I didn’t really research into signs of autism, obviously this is important as without understanding a portion of my market properly how do I hope to create something to benefit the individual without fully understanding them and their needs? Behavioral Momentum – This would keep the player repeating the same objectives or task, the reason I thought this could be used effectively as children with autism prefer routine so to see how a child responds during a routine and after when something changes will help us evaluate the child. Appointments – This would link in with Loss aversion, but to make the player have to be at a particular place within the game during a particular time will alter an individuals behavior and flag up any major changes. ‘Visual problems are very common in individuals with autism. Visual symptoms of autism can include lack of eye contact, staring at spinning objects or light, fleeting peripheral glances, side viewing, and difficulty attending visually. this made me wonder, should I try to put something within my game to make the individual have to focus on an object as then the educator would be able to notice the way the individual handles this visual stimuli and in turns would only help with showing symptoms so that the child could be properly treated if needs be. After this, I dug a little deeper and discovered that an individual has been working on a demo for a game called Auti-sim which was influenced by the first video so that people can experience aspects of life through the eyes of someone who has autism. I found this incredibly interesting and useful especially when it came to understanding my market more. Also while I was browsing the internet I stumbled across an article which appeared in the daily mail about an app being created which can detect signs of autism better than some of the individuals within the medical field. The app breaks down into three tests; the first tracks how long it takes for a child to follow the movement of the changing stimulus. The second test passes a toy around a childs FoV (Field of vision) and looks out for any delay. The third would be the individual giving the test would roll a ball and look for any eye contact with the child. Feel free to check out this article, it really is an interesting read and I intend to apply some of the things I have discovered within my research to aid with the development of my game idea. Gamification is simply applying game mechanics to something which is not usually considered a game. The reason why this is important as it allows the task to become engaging and ‘fun’ rather than boring and difficult. Gamification can be used to help people cope with difficult parts of their lives such as coping with depression or quitting smoking, to other things such as making the wait to cross a busy street less boring or finish reading a book which is hard to enjoy. Websites tend to use aspects of gamification to promote the websites usage and loyalty to that site. One example of how gamification can work effectively within a website is how it worked for KIDS WB. They wanted to engage a new generation of children interested in the Scooby Doo show in order to give life to a really old cartoon. To do this they set up a way for the child to collect points in order to purchase digital rewards. The children would collect the points by purchasing some kind of merchandise which related to Scooby Doo such as a DVD or a plush and then use the points to purchase digital rewards such as interactive storybooks and other additional games. The reason why this was so effective is that they were able to bring Scooby Doo to a generation which tended to use the internet and other interactive devices and because of this managed to increase sales and market the show to a new audience. Another website which uses gamification within its business model is the well-known website Facebook, so yes; the website is indeed a game. For example, a user can collect likes which in turn acts as a ‘reward’ despite not actually getting a reward as such you are appreciated and recognized for something you have said. You are able to play games on Facebook in which you can share your achievements within this game on your wall. The amount of friends you have on Facebook to some show your players ‘status’, the more friends you have, the more interesting and ‘famous’ you are seen. You have real-time feedback through seeing what you have been doing on Facebook that day by viewing your activity log and also anything that your friends have posted on your wall. The reason why this is effective is that as Pavlov noted, we are wired to respond to being rewarded so applying gamification within a business model could only be effective. A final example of gamification which I have personally experienced is with the retailer GAME. The first thing I saw when observing the website is right at the top of the screen you are able to ‘earn reward points today’. 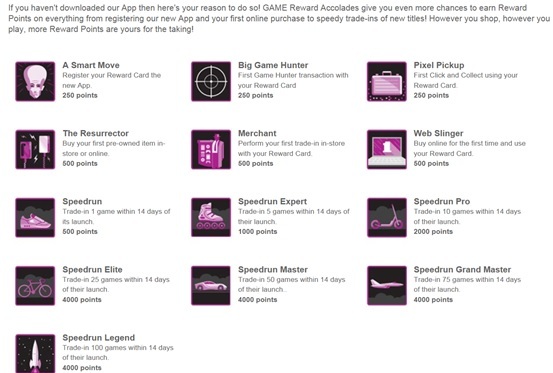 This is adding a reward mechanic as the ‘Player’ would purchase a game and in return for doing this they would collect points which they can accumulate and spend later on. Another aspect of gamification seen within this retailer is you are able to collect points and rewards by trading in a game within 14 days of having it, or purchasing a game which is preowned. The reason why the retailer chooses to do this is to again promote loyalty to that retailer. 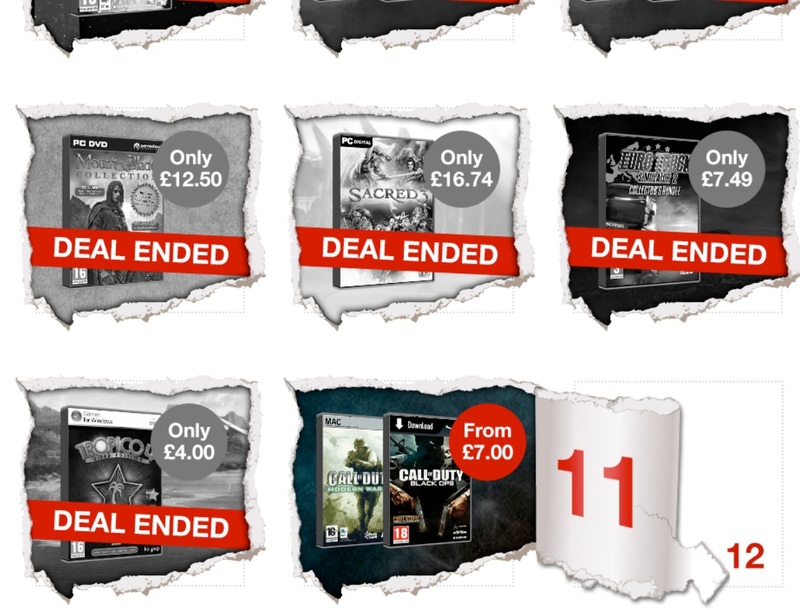 There are other aspects too such as during the Christmas period there is an advent calendar in which you have a chance to purchase a game on offer as long as it’s within the 24 hour time period, if this is missed then another offer will appear for the next day and you will lose your chance at purchasing the game cheaper and gaining those points. GAME even have an app in which the ‘Player’ is able to see how many points they have gained and the cash value of those points which only entices the player to continue earning and spending money with that particular retailer to have those points. The app even allows the player to see if they have earned any accolades with them. An element within my game was to use the game to help with the diagnosis of autism within children. The first thing that I felt to research was what actually is autism? why is it an issue? and how do we find out if ourselves or an individual could have it? So basically people with autism see the world through a different lens and act accordingly to their own world. For example they may have a unique way of communicating or they may respond very differently to a situation then what an individual who didn’t have autism would. Autism can be a struggle for both the individual who has it but also the people around the individual. People with autism find it difficult to imitate hence why development can be slow in these particular individuals so because of this they may not connect with other children. An example of this in the real world could be a child feeling secluded because they can not partake in an activity that other children of that age may be finding easy and enjoyable. This could advance further as the child sometimes may act out due to not being able to fully understand the situation and could respond in a negative way which could involve anything from physical or verbal abuse to other individuals to being distant or depressed. which would cause concern. It consists of two sections: the first nine items are questions asked to the parents, and the last five items are observations made by the primary health care worker. The key items look at behaviours which, if absent at 18 months, put a child at risk for a social-communication disorder. These behaviours are (a) joint attention, including pointing to show and gaze-monitoring (eg looking to where a parent is pointing), and (b) pretend play (eg pretending to pour tea from a toy teapot). Depending on how the child scores on the test will vary if the child is at high or low risk developing a disorder such as autism. Once I have looked into the finer details of how a child is diagnosed and how these are put into testing conditions I will try to implement features of this within my game so that anything that could trigger a response to show if a child has autism then my game will help that individual to becoming properly diagnosed. I am unsure to how far I will be able to push this but if I can even implement small bits then it will be worth it as it would not only make my final product a game, but it will make it a tool to help educators and parents become aware that their child may be living with an undiagnosed condition.